Sometimes people make promises they can’t keep, and more often then not, they are promises made to themselves. For example, you may promise yourself that you’ll get up at six in the morning to go workout, but instead you end up hitting snooze. Similarly, people promise themselves (and their bank accounts) that they will be more financially responsible but end up with a hole in their pocket. Why is that? You may put in hours upon hours of planning out a weekly/monthly budget. But when it comes down to sticking with it, you end up cheating in order to receive instant gratification. Sure, you may be doing great at following your budget… but then you see a pricey designer hand bag that you just have to have. You might feel happy when you buy it on impulse, but you’re bank account won’t be. Even after putting in the work to make a budget, it can be hard to keep up with. 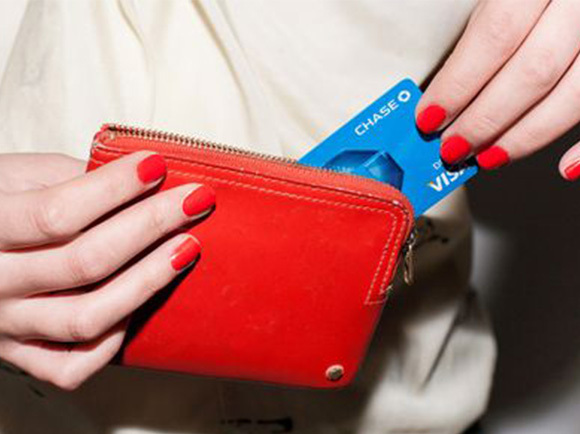 We are all guilty of mindless card swiping and as a result we forget to look at our bank accounts. Be sure to check your bank account weekly to make sure you’re on track. Make changes in your budget based on your purchase history, and repeat each month to ensure you’re not overspending. Sadly, budgets don’t make money problems—like overspending—go away. Budgets are supposed to work in harmony with your lifestyle. If you have a problem controlling your spending, be mindful of the extra cash and credit cards you have in your wallet. It becomes easier to cheat on your budget if you have access to all your cash and cards at all times. Next time you go out, only carry the money you need for the day, and leave the rest at home. If you’re currently cheating on your budget you may be thinking, “I’ll worry about it later,” without realizing what it could do to you in the long-run. Start setting feasible and attainable short-term goals, and it might motivate you to change your habits. For example, next time you go to the store don’t impulse shop… make a list of what you need and stick to it. Short-term goals can help shift how you view and use money. As you become more financially savvy and less impulsive, you can begin to set longer-term goals for the future. It takes a lot of self-control to follow a budget, but don’t let it drive you insane. Don’t deprive yourself of the finer things in life, instead set aside money in your plan for splurging. This tip might sound like a step in the wrong direction if you’re trying to save money. However, depriving yourself almost always guarantees that you’ll cheat on your budget. You may not be able to stop cheating on your budget over night. However, acknowledging your spending behavior, and making a commitment to do better is the first step toward a happier life and happier bank account. Check your finances frequently, be mindful, set goals, and don’t forget to treat yourself. You have the power to make the change and stop cheating on your budget.